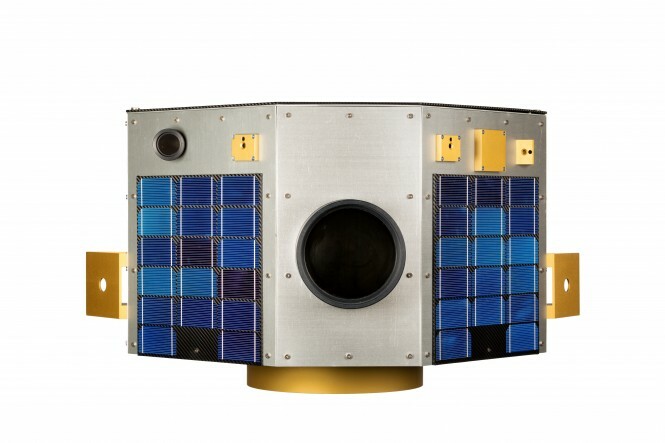 Slovenian Centre of Excellence for Space Sciences and Technologies (SPACE-SI) is developing a high precision interactive remote sensing mission for acquiring multispectral images and real time HD video. 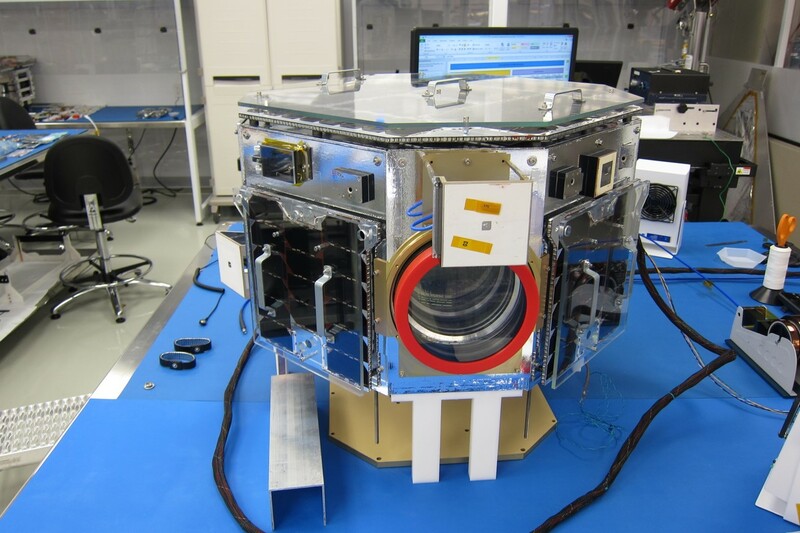 The mission is based on a NEMO-HD microsatellite for Earth Monitoring and Observation developed in collaboration with the Space Flight Laboratory (SFL) at the University of Toronto Institute for Aerospace Studies. The satellite will be capable of resolving a Ground Sampling Distance (GSD) of 2.8 m in panchromatic channel and 5,8 m in multispectral channels from a design altitude of 600 km. NEMO-HD is the second spacecraft that is based on an evolved SFL’s high-performance NEMO bus, which builds upon the heritage of SFL’s flight-proven Generic Nanosatellite Bus (GNB). 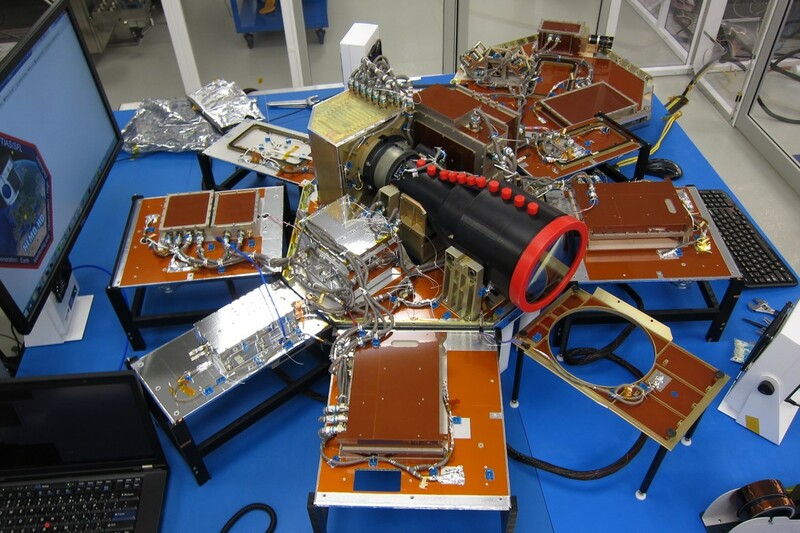 The Satellite will carry two optical instruments: a narrow-field instrument as well as a wide-field instrument. 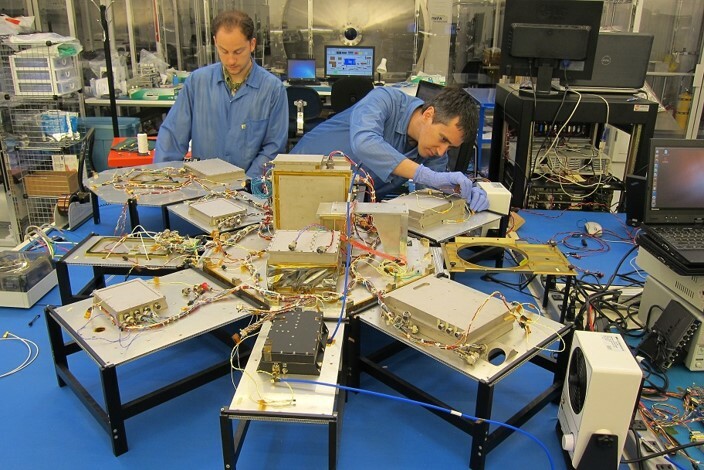 The narrow-field instrument will be capable of resolving 5.8 m GSD in four spectral channels corresponding to Landsat-1, 2, 3, and 4 (420–520 nm, 535–607 nm, 634–686 nm, and 750–960 nm). The wide-field instrument will be capable of resolving 40,08 m GSD. Both instruments are capable of recording High-Definition video at 1920 by 1080 pixels. The spacecraft will be capable of performing real-time imaging, attitude control and video streaming over Slovenia and other regions where it will be in view of a ground station with the appropriate setup. In addition, the spacecraft will also be capable of performing remote observations. Our satellite will include the standard complement of subsystems, sensors and actuators that make up a three-axis stabilized NEMO bus. 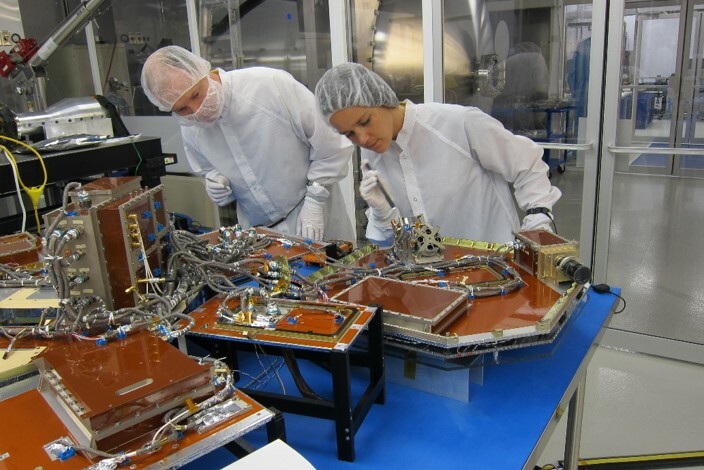 In addition, it will be enhanced to include a 50 Mbps X-band downlink, 279.4 GiB of on-board storage, a high-performance instrument computer, and a power system generating with a 300 Wh Li-ion battery. The interior of NEMO-HD satellite. NEMO-HD ready for final tests.